Porsche mechanics are trained at dedicated Porsche technical centers, where they develop unrivaled expertise in all aspects of maintaining and servicing Porsche vehicles. The training courses are detailed and very demanding – only the best technicians are graduated and then certified. It’s worth noting that only technicians from Porsche dealerships can participate in this official Porsche training. And only a Porsche dealer has the complete set of specialized Porsche tools and computerized test equipment needed for the best, most accurate repair and maintenance. 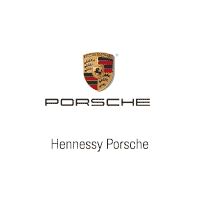 Our factory trained and Porsche certified service team experts are always ready to help you, whether you’re looking for genuine Porsche parts or a basic luxury car service. You can book a service appointment online or call us at (678) 781-0500 and one of our Porsche service advisors will be happy to help you set up your appointment. Contact us today!